Come celebrate with some of the biggest stars in sports during Pro Bowl Weekend in Orlando! The celebrities will be in one place, one night only at the 3rd Annual Bowl Party! 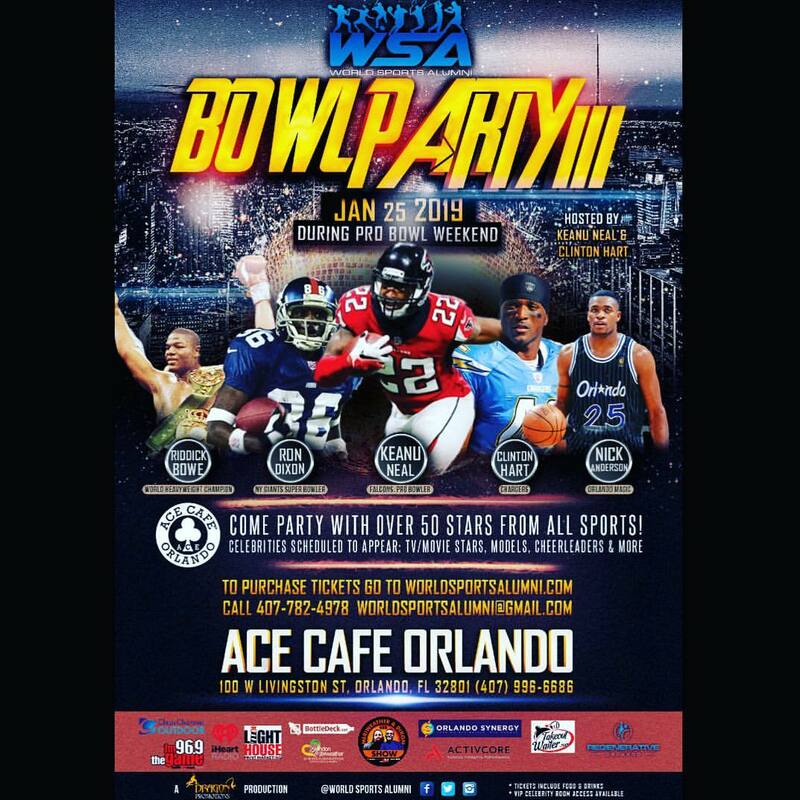 The World Sports Alumni and Ace Cafe Orlando will host the mega event party that will take place on January 25, 2019. Professional athletes from the NFL, boxing, tennis, NBA and celebrities from outside of sports will be attending the mega-star studded night. A portion of the proceeds will goto various charities to be named. -Keanu Neal - Falcons. Gators. Pro Bowl Safety. -Mark Lanton - Pro Boxer. Florida Boxing Hall of Fame. Golden Gloves Champion.